Models are awesome. The more detailed the better. Still, there is a limit to how detailed you can make things depending on the scale. When it comes to battleships, usually the largest scale models you'll find on sale are 1/350 scale. If you want bigger, well you're kind of out of luck – Unless you build one from scratch. 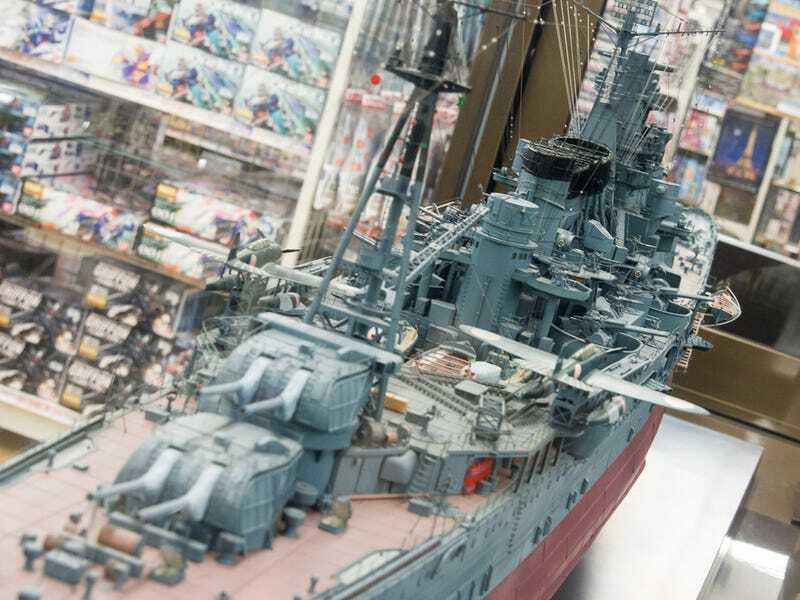 The models on display are the aircraft carrier, Akagi, the battleships Fuso and Ise, and the heavy cruiser, Takao. Before someone inevitably asks: Apparently, a 1/100 scale model of the battleship Yamato and one more ship used to be on display, but were shipped to a branch in Kyushu when it newly opened.